Whether you are shuttling kids around to local activities, or headed off on a summer adventure, it’s important to have a stash of snacks on the go, when you’ve got hungry children around ready to leap out of the car, and onto their next excursion. 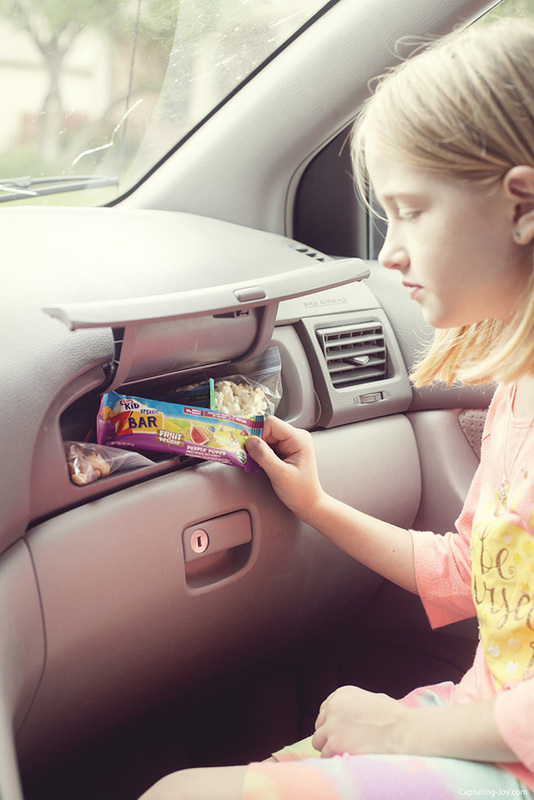 For the kids, we’ve got a secret, second glove compartment in my mini van, where the snacks hang out. Do you remember my confession in the parenting discussion a few weeks ago about my crazy insanity when my kids eat packaged snacks at home? Yeah, it pushes my buttons, they are MEANT for times when we are away, and need energy on the go. 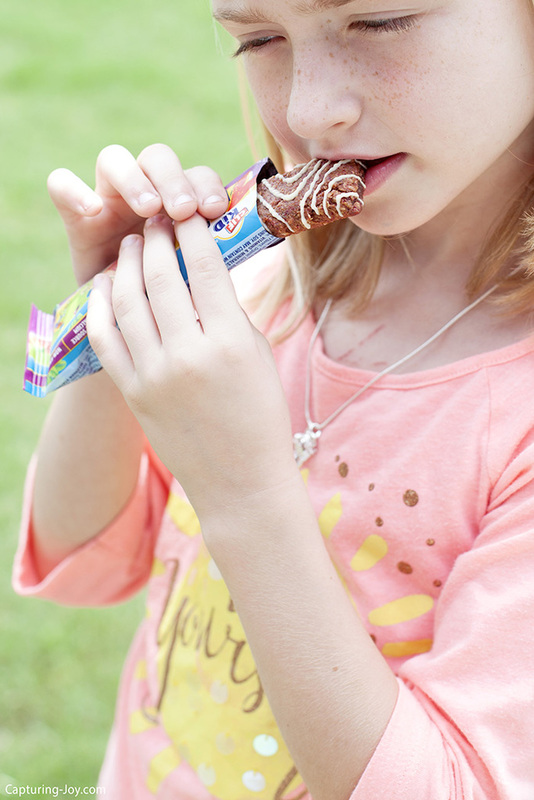 I’ve partnered with CLIF Kid to share about their new Zbar Fruit & Veggie snacks, I spotted them at Target and grabbed them, even before I was asked to partner with them, so this is a legit exciting post for me to write, and share with all of you. 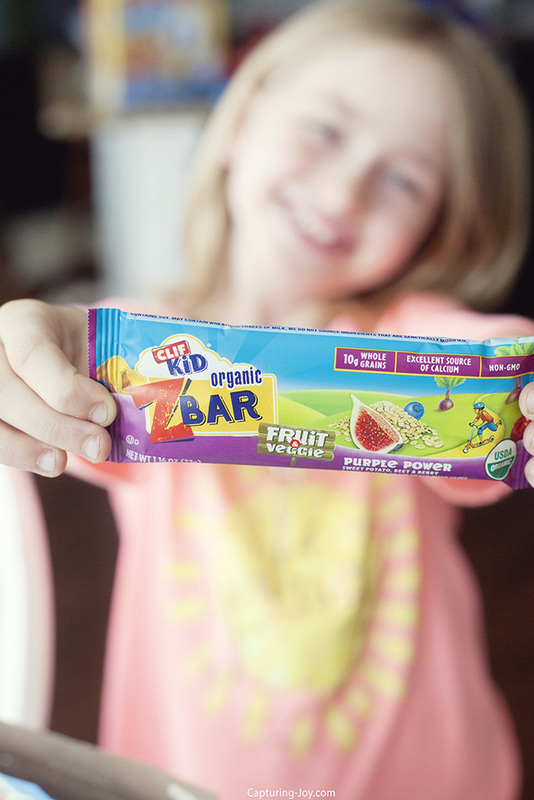 Ok, not sure if you’ve ever had the REGULAR CLIFF Kid Zbars before, but these new flavors are different because they’ve got Fruit & Veggie in each one! 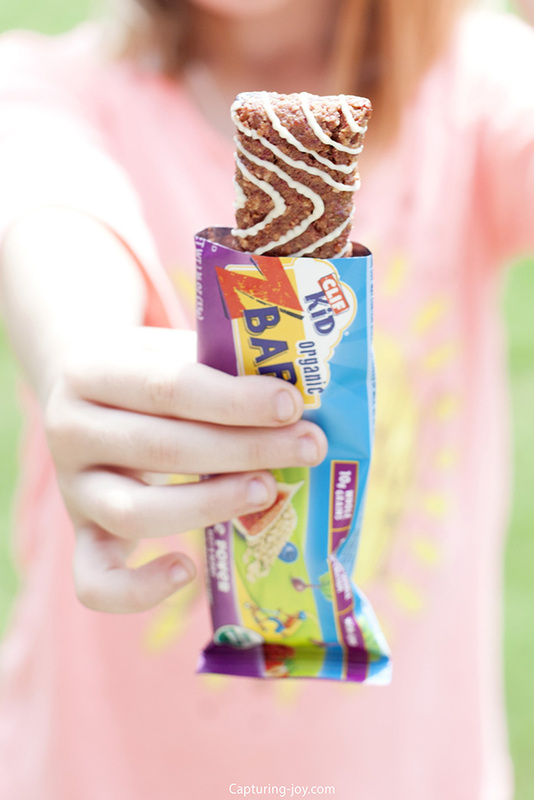 CLIF Kid®, maker of organic snacks for active kids, is introducing a new addition to the CLIF Kid family –CLIF Kid Zbar® Fruit & Veggie. This certified USDA organic snack not only contains whole grains, but also a blend of fruit puree concentrate and vegetable powders that deliver the taste kids want, with the nutrition parents desire. The soft and chewy bars are available in three flavors: Awesome Orange (carrot, mango and orange), Keen Green (apple, sweet potato and spinach) and Purple Power (sweet potato, beet and berry). Purple is my daughters favorite flavor. 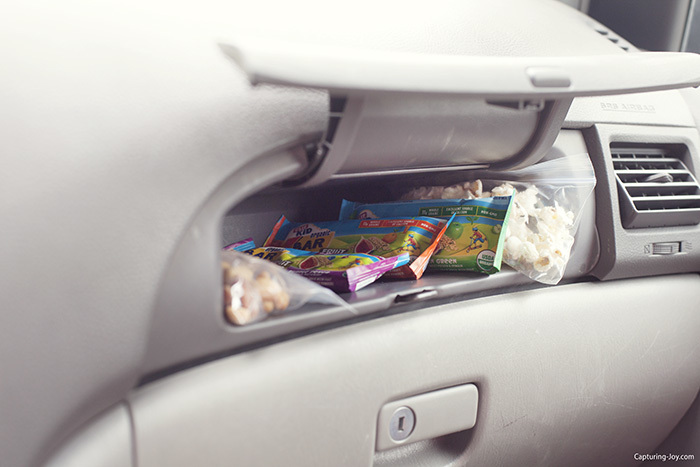 Other snacks we like to keep in the glove box are bags of mixed nuts and popcorn, the kids love having a few different options. We were at a piano lesson, and my youngest daughter and I wait in the car for 30 minutes while my older daughter plays. We do this once a week, and it’s great to have an energizing snack on hand for those outings! CLIF Kid Zbar Fruit & Veggie is available through “Made to Matter – Handpicked by Target,” a product collection of leading natural, organic and sustainable brands. At the heart of Made to Matter is an assortment of great products made with simple, recognizable ingredients that are designed to be better for everyone and accessible to anyone. Disclaimer: This is a sponsored conversation written by me on behalf of CLIF Kid. The opinions and text are all mine. This is a sponsored conversation written by me on behalf of CLIF Kid. The opinions and text are all mine.